If you are considering replacing your natural grass with artificial turf, there are two main things to look for; the quality of the artificial grass, and how well it drains. 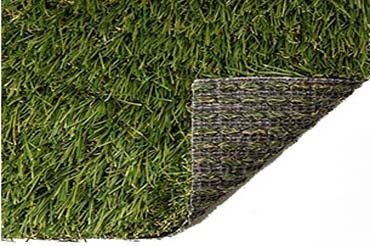 ProGreen ProFlow is a patent-pending, non-perforated technology that does not have holes in the backing of their artificial grass for drainage. Even though there are no perforated holes, it is completely permeable and will increase the drainage capacity by 100%. By combining Progreen’s ProFlow Technology along with their moisture-resistant fibers, you can be assured that their artificial grass to be cleaner, drier and is great at preventing unpleasant pet odors. It eliminates all the problems associated with perforated backings including particles clogging the holes and interfering with the drainage efficiency, and it does not have weeds growing through the perforated drainage holes because there are none. The Proflow backing is comprised of two heavy gauge woven layers, one five pick layer and a final coating of a high-viscosity polyurethane compound. Before they apply the compound the turf, they inject it with air that creates passages that allow for free flow drainage. ProFlow provides a percolation rate that stays consistent throughout the life of your turf system. Here is a ProGreen video showing how their ProFlow Technology works.